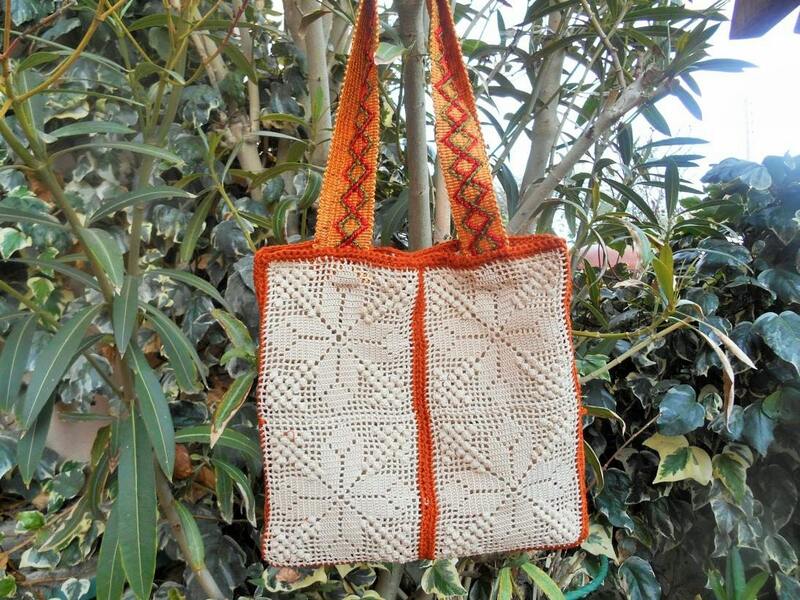 Natural French handmade lace purse with bamboo yarn tassel. 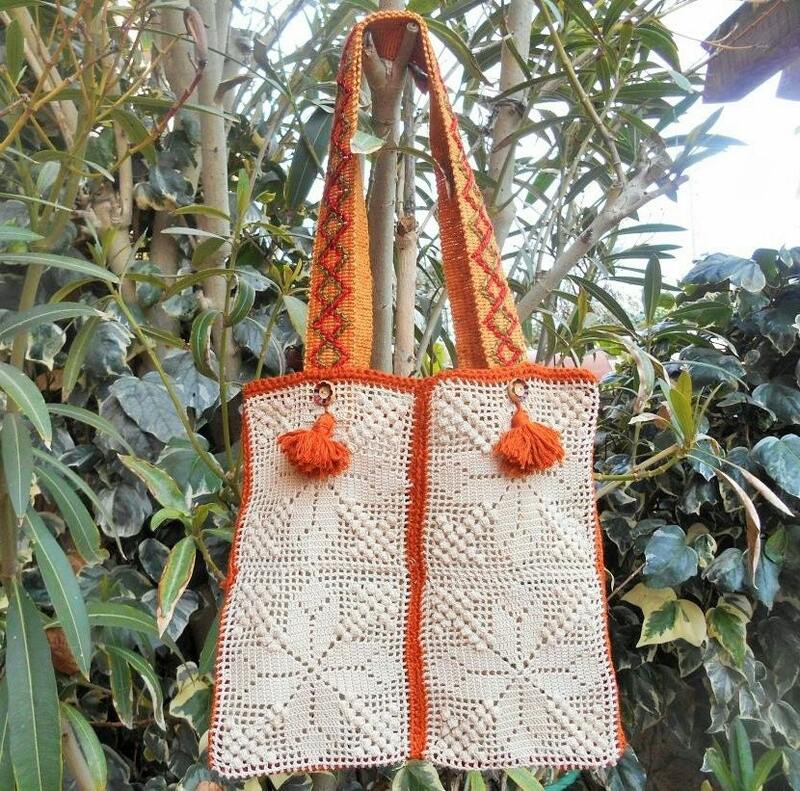 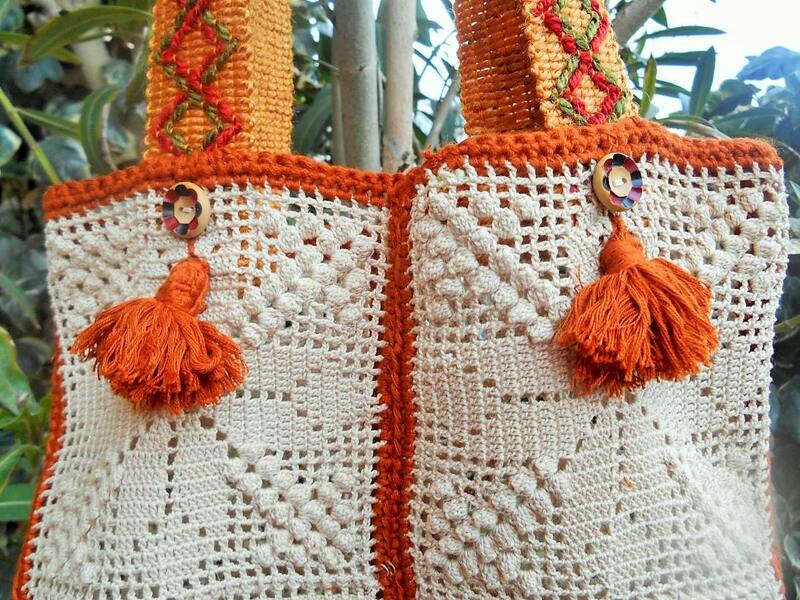 Hand crocheted bag.Orange embroidered straps. 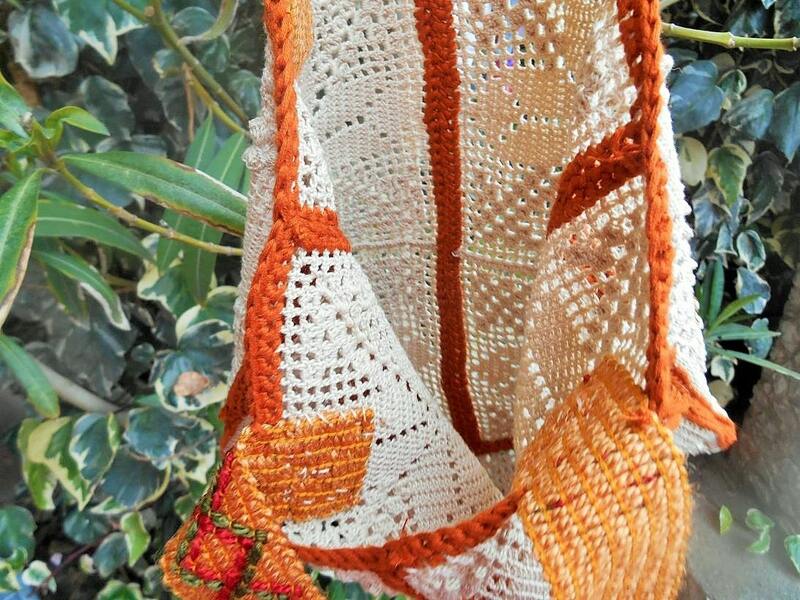 I've made caramel bamboo yarn tassels. 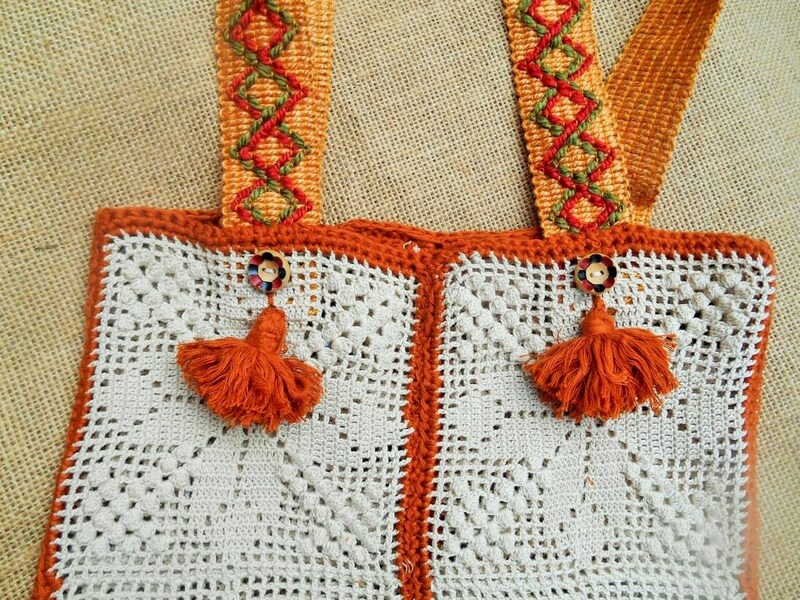 Orange Burlap straps and natural hand painted wood buttons to decorate.